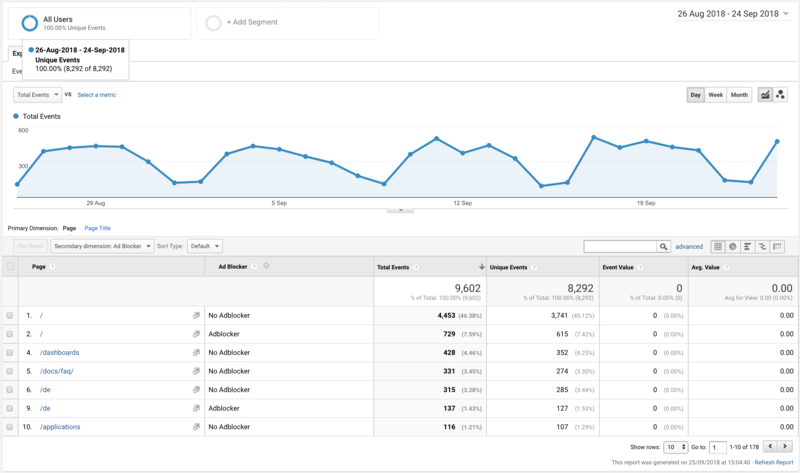 Onpage Hero’s custom dimensions add more functionality to Google Analytics. This time, we are looking at how to detect users using ad blockers with the Ad Blocker Onpage Hero custom dimension. First of all, check you have the Ad Blocker dimension selected as part of your Onpage Hero plan. Our free plans allow you to add up to 3 datapoints, whereas paid plans allow up to 20. To check which datapoints you have access to, log in to your Onpage Hero account and click the settings icon on the right. Now, select Change Datapoints to display your current setup. The options on the left show the datapoints applied to this property. 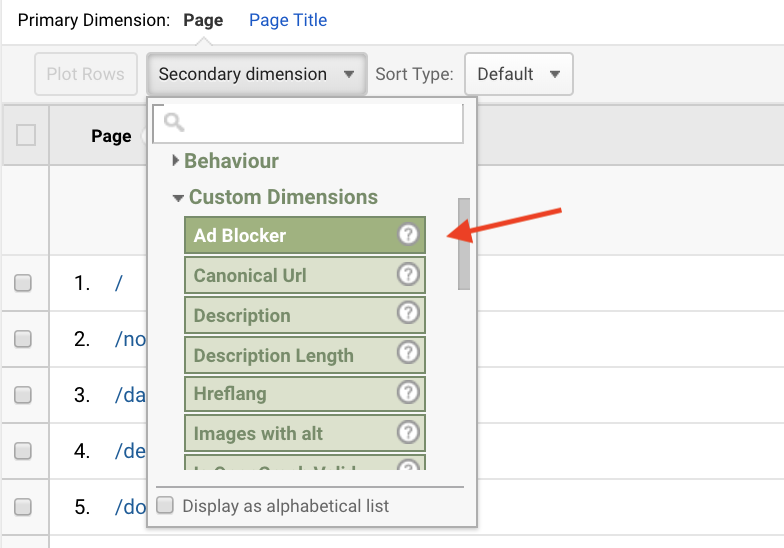 Select the Ad Blocker dimension, click NEXT, then VIEW ANALYTICS to jump into your Google Analytics property. Ad blockers are typically browser extensions or add-ons that when enabled attempt to block ads and pop-ups. Ad blockers mean that users may not see your advertising, interstitials or push notifications. Why is tracking ad blocker use important? Tracking ad blocker usage is important to gain more accurate advertising data. 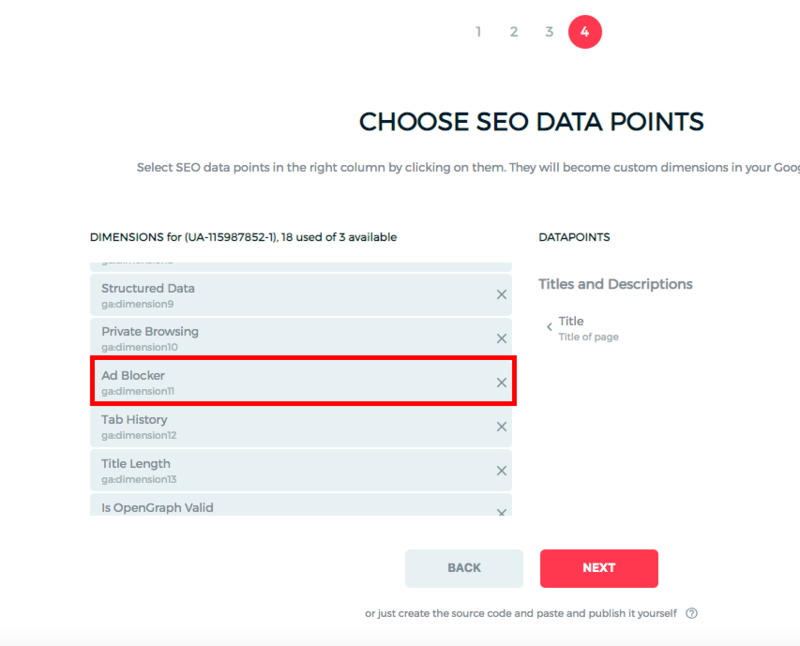 By excluding your ad blocker users from your marketing data, you can more accurately benchmark your campaign reach. But it is not only advertising that may be blocked: Depending on your implementation and your users’ ad blocker setup, it’s possible that your native push notifications and remarketing efforts (product announcements feature releases) may be blocked as well. Knowing how many of your users block these messages is important. That way you can plan alternative communication campaigns such as email marketing to reach these users as well. To find the Ad Blocker custom dimension in Onpage Hero, simply navigate to your default view within in your Google Analytics property. Ok, let’s take a look at the data. So, type “ad blocker” as a secondary dimension to display the results. From the results, we can see that around 16% of visitors to our homepage user an ad blocker. Next up, let’s check incognito browser usage with the Private Browsing custom dimension.